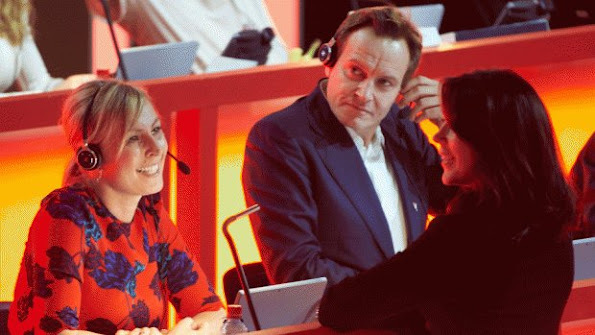 On February 9, 2016, Danmarks Indsamling 2016 (Denmark Collection 2016) organized by DR1 television programme took place. Denmark Collection is a community which works for the benefit of developing countries in Africa, Asia and Latin America. Queen Margrethe & Prince Henrik Foundation and Crown Prince Frederik & Crown Princess Mary Foundation donated 750.000 kr in total to the 2016 Danmarks Indsamling. Queen Margrethe and Prince Henrik Foundation donated 500.000 kr and Crown Prince Frederik and Crown Princess Mary donated 250.000 kr. to the Collection. In addition, the Crown Royal Couple attended the television programme on behalf of Crown Princess Mary Foundation. Queen Margrethe and Prince Henrik Foundation have supported the Denmark Collection since 2009. For Danmarks Indsamling 2009 : 100.000 kr. For Danmarks Indsamling 2010 : 200.000 kr. For Danmarks Indsamling 2011 : 250.000 kr. For Danmarks Indsamling 2012 : 175.000 kr. For Danmarks Indsamling 2013 : 200.000 kr. For Danmarks Indsamling 2014 : 200.000 kr. For Danmarks Indsamling 2015 : 500.000 kr. Help Now! (Collection for the Syrian refugees) 2015: 200.000 kr. For Danmarks Indsamling 2016. 500.000 kr. For Danmarks Indsamling 2007 : 10,000 kr. For Danmarks Indsamling 2009 : 75,000 kr. Africa Now (Colllection for Africa) 2011: 50.000 kr. For Danmarks Indsamling 2012 : 200.000 kr. For Danmarks Indsamling 2014 : 150,000 kr. For Danmarks Indsamling 2015 : 250.000 kr. For Danmarks Indsamling 2016 : 250.000 kr. Danmarks Indsamling is organized once a year with the cooperation of 12 humanitarian aid organizations and the collected donations are given to the communities at the poorest countries of the world that are in the OECD list. Danmarks Indsamling began to be organized in 2007 and since that time, it has given a support of 770 million krones to the projects in developing countries. Gorgeous Prince and Princess of Denmark!!!! Nice pics certainly, my favourite royals. Did Mary earn the money she donated? Doesn't one have to earn money before donating? The credit for this generous doesn't go to Mary it goes to Danish tax payers. Am I missing something? You must have forgotten that Mary before becoming a royal was working and earning well back in Australia, she must have save or invested in good stocks over the year to have donated such amount. Zef, are you serious? Is this some sort of a joke? Mimi, so you are Australian, I thought so from your posts. Mimi, thank you very much for your comment and helping people understand that Mary did not earn any of the money and the credit should go to the Danish taxpayers. We know it came from the Foundation of Frederik and Mary, from money they received as a wedding gift. the money is invested and they use for this. The same as Joachim received money for two weddings as a gift only he used to modernize his residence and sell it as a big profit for his use only. You make me laugh, praising Mimi for comments when she know not what of, she only has an opinion/ guesses like the rest . So with this logic no nurses, doctors, teachers, priests etc can never donate anything because they got their money from tax payers? Where do you Come from? In which country and since when the taxpayer HAS to donate to foundations? It is only based on good will. And nobody including me and you will know how much Frederik and Mary personally donated through their foundations unless you have access to their bank accounts. Wonderful that both the foundations of Queen Margrethe and Prince Henrik and Crown Prince Fredrik and Crown Princess donate to help and that this is has been happening for years, thanks for sharing the information. To be sure, the money doesn't come out of their pockets. My understanding of a foundation is that it exists on donations, which sit there for a while gathering interest and then the foundation(s) dole out the money. I would imagine the Danish Royal Family like the British Royal Family are privately wealthy. Any donations they make would most likely come from their private incomes. As far as what Princess Mary was earning when she worked in Australia. She worked in advertising, she had a double degree, she would have been earning a LOT more than $50,000.00 a year! 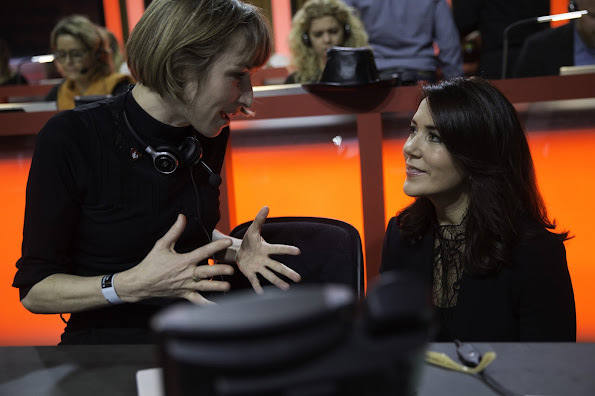 Princess Mary wasn't a receptionist sitting at the front desk! The only thing that is relevant for me is your last sentence: just YOUR opinion. Nothing else. You know nothing about how much did Mary earn in Australia. You know nothing about how much money her foundation earns. You know nothing about how much she personally owns in her bank account, nor how much she gives to charity. The Queen,prince Henrik and prince Frederik's foundations are mentionned here as well so I don't understand why you guys seem to imply that only Mary is credited for those donations. Of course money were donated, not by taxpayers as it is not compulsory, but by willing people who think that how it will be used is worthy. It also required some serious involvment of those who run the foundations to let people know what they stand for. And this is something that the danish royal family, including Mary do quite well. The money is used for decent and noble efforts and while you are mumbling behind your computer, what Frederik and Mary did as well as all those who participate that night will help make a difference in some people lives. I know this is a fashion blog, but some comments show completely ignorant and fickle people. Mary lives off Danish tax payers hence, the donation she makes from her private wealth is accumulated from the Danes' support. As far Mary foundation it exists for a single purpose to have her wealthy friends' around so that she could promote their business interests in exchange for the freebies she gets. So is the Queen, and the whole royal family as well as every single royal in the world. So what is the point? At least Mary has the intelligence, and the skills to use her status and privilege to do something. Just look at some other royals, how many foundations does Kate run in almost 5 years of marriage? None. Mary has had the Mary fonden the very first year she became a princess and she started to do something through it straight away. As for Joachim and Marie? Joachim received millions of danish kroner money through a foundation as a wedding gift so that he could restore the Schakenborg estate and palace to make it home to him and Alexandra, and then Marie. Only for him to sell it with impunity few years later for his personal convinience so that he and his spouse can enjoy the trendy Copenhagen area. Not to forget that after his divorce from Alexandra, it's the danish taxpayers and not him Who pay for Alexandra's alimony. Okay a bit off topic about that last point, but I mean if you want to criticise then stick to facts and go after those who deserve it. Believe me, Danes are really sensible and they won't be cross because their Crownprince couple's foundations donated money for some good causes.